Its plain to see the organizers of the first Belgian Grand Prix weren’t thinking of international F1 tourists when they decided to hold it in this quaint corner of the Belgian countryside. 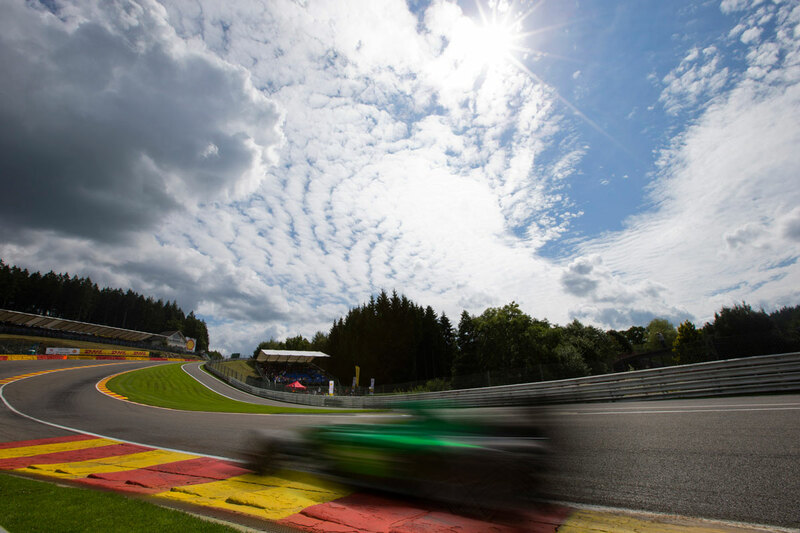 Nestled in the Ardennes region of Belgium over 100km from Brussels main airport, the Grand Prix is not the most accessible, but nonetheless worth the extra effort it takes to get there. Though there is a small airfield near the track this doesn’t cater for commercial flights so your best option is to look for flights for Brussels (BRU) or Brussels Charleroi (CRL), the latter especially being popular with low cost carriers. Other options in the region include Luxembourg (LUX), Cologne (CGN) and Maastricht (MST). For your return flight if you can get one for late Sunday night from Brussels you might be okay but bear in mind traffic is excruciatingly slow after the race and waiting and flying home the next day tends to be the smarter choice. 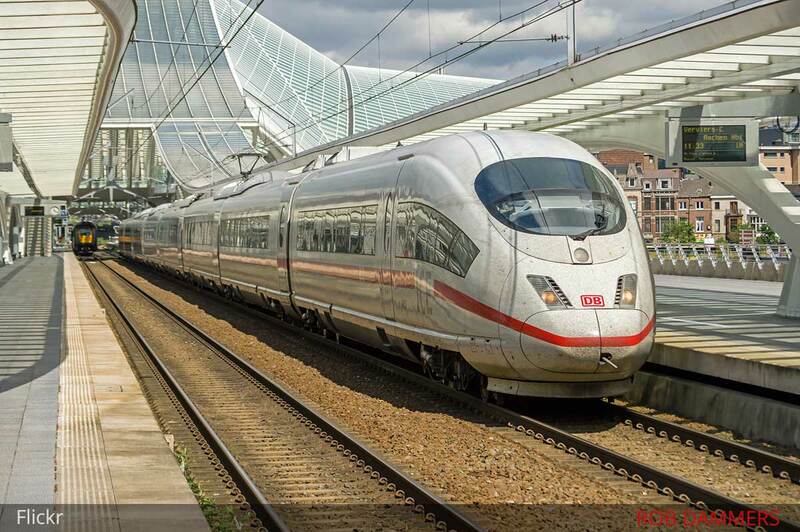 Europe’s train network is efficient and well connected meaning wherever you are on the continent a train is an option, though from further away destinations a plane is often cheaper and quicker than an overnight sleeper train. For travel in Europe you can use bahn.de for full schedule information, and if you’re traveling from Germany you can also book your tickets there. Otherwise the best place to buy your tickets will depend on where you’re traveling from. You’ll usually get the cheapest train tickets by buying directly from the train operator or by visiting the national rail website of your departure country. In most cases you can book international train tickets online from 60 to 90 days before the dates you wish to travel. Travelling to Spa from the UK? For a detailed guide on traveling by train from the UK to the Belgian Grand Prix (with or without your car), see below. Now that you’ve got as far as Belgium, you have a number of options. Hire a car (or continue with your own), and drive to the track, or take public transport. Whichever way you go, bear in mind traffic around Spa is notoriously bad, especially after the race. If you have to get to the shuttle bus before the last one leaves there’s not much you can do but if you came by car and you don’t have a flight to catch its worthwhile hanging around at the circuit and in Francorchamps village until the gridlock eases a bit. The Circuit de Spa-Francorchamps lies on the edge of the village of Francorchamps, along the E42 highway about 110km southeast of Brussels, between the towns of Spa and Stavelot. The exact route you take will depend on which area you are seated in over the weekend but whichever your route you need to approach the Spa-Francorchamps region on either the E25 or E42 highways and take the appropriate exit (see below) to continue to the various car parks around the track. If you’re using GPS, key in the relevant highway exit, as beyond that point the directions may differ due to local traffic diversions, so look out for signs for your car park. Temporary parking areas are erected in fields at 4 points around the circuit. They are named yellow, green, red and blue. Parking tickets can be purchased here and received via email. You’ll need to print this and display it in your car so the barcode can be scanned when passing the checkpoints. Car parks open at 6AM. There’s not much other parking in the area, though you may find some parking, walking distance away from the circuit’s La Source entrance in the village of Francorchamps, where local residents let out their driveways for the weekend. The nearest train stations to the circuit Spa-Francorchamps are in the towns of Spa and Verviers, 12.9 and 29.4 kilometers respectively. Although Spa is closer it involves more transfers and there isn’t a shuttle bus to the circuit. Unless you’ve arranged your accommodation in Spa, taking the train to Verviers and continuing by bus is the better way to go. Alternatively you could skip the train altogether and travel on the City Shuttle. These are direct buses to the Grand Prix from a number of cities in the region. Verviers can be reached directly by train from Liege, and Brussels (see below for details). The shuttle bus leaves from just outside the train station and services run every hour and 40 minutes. The first bus to the circuit is at 7.40AM and the last bus returning to Verviers is at 6.40PM. There is also a regular bus service from Verviers, route number 294, the schedule for which can be found here. The journey from Verviers to the circuit gates takes about 45 minutes and tickets can be bought at the station or from the driver and cost €3.50. To get to Spa you’ll board the same train as the one to Verviers but will need to change trains at Pepinster. Many IC trains won’t stop at Pepinster so if you’re coming from Brussels and there isn’t one at a time that suits you, your best option is to get off at Liege and transfer to a regional train. It will take 25 minutes for the train to reach Pepinster where you can transfer to the train to Spa-Genonstrere, also about 25 minutes. From here you can continue to your accommodation or the circuit. Below you can find a summary of train services from Brussels and Liege to Verviers and Spa. Ticket prices shown are for a standard return in 2nd class. Ticket information is provided as a guideline only and information is subject to change. Check close to the time of travel to confirm details. Tickets are for the journey only, not a seat reservation. Sit – or more likely stand – anywhere. Tickets are issued for the date of travel only. You are free to take whichever train at whichever time you like. Online ticket sales open one month in advance. From Friday to Sunday there are direct shuttle buses to Spa Francorchamps from cities in Belgium, Germany, France, the Netherlands and Luxembourg. The City Shuttle is scheduled to arrive at the circuit at 9am and depart at 6.30pm. Services from the cities listed below range from about €35-60 and tickets (return only) can be booked in advance. If you’re coming to the Belgian Grand Prix from outside of Europe you may well find cheap flights to London. For UK fans and visitors from further afield wishing to get to Spa on public transport, how you get to the Belgian Grand Prix will most likely come down to a flight, the Eurostar, or maybe a ferry. The Belgian Grand Prix is stupidly easy to get to from Britain. In fact for car-less Londoners it’s almost an easier commute than getting to the British Grand Prix and many British F1 fans make the trip through the channel tunnel each year to lap up some high octane excitement and waffles on the continent. One of the best and most popular ways of getting to Spa-Francorchamps from the UK is to hop on the Eurostar, departing from St. Pancras and whisking you away to the heart of the low countries in no time at all. The high speed Eurostar gets to Brussels in about 2 hours. Buying Eurostar Tickets – Where, When, How? There are 9 services between London and Brussels during the week and 14 on weekends. You can go to the Eurostar website to view schedule information and buy tickets. Tickets are usually available 120 days prior to the weekend of the Grand Prix and I recommend making your booking as early as possible. As tickets sell and supply decreases, the price will shoot up. 2nd class ticket prices start from £41 one-way or £72 return. When buying tickets you can, and in most cases should, select ‘any station’. This will allow you to travel onward to Verviers or Spa (see above) for just an extra £10 return, meaning a saving of about £16. Remember that you can use your onward travel powers anytime within 24 hours of arriving in Brussels so if you want to break up the journey and over-night there to see some of the city, you’ll have time to do just that. Like wise, on your return you have 24 hours from arriving in Brussels to departing back to London. If you’re starting your journey from outside London you can book your travel to include travel to London from 130 UK towns and cities on the Eurostar website. Eurostar tickets can be printed at home or collected at the station. On the day of travel you need to check in 30 minutes before departure. From Brussels, it’s a short connection to take you the rest of the way in under 2 hours (see above). The Eurostar arrives in Brussels Midi/Zuid station. From here your ticket covers you to travel to any Brussels station. Trains to Verviers and Spa leave from Brussels Central – about 15 minutes away. Taking the Eurotunnel is ideal if you wish to take your own car from the UK to Spa and have the freedom to explore in the fabulous Ardennes region, not to mention driving on part of the original Spa-Francorchamps circuit, you have several options. Services run up to 4 times an hour taking you and up to 8 others from Folkstone in Kent to Calais in about 35 minutes. It will cost from under £50 return which is actually great value for families and groups. The cheapest fares are for short trips of under 3 days which is ideal if you’re just nipping over for the race. If you have a 3 day ticket to the grand prix however the price shoots up to over £110. Once across the ‘Chunnel’ it’s just about 3 and a half hours drive to the F1 circuit in Spa. For more information and to book tickets, go to the Eurotunnel homepage. Extra charges apply to large cars, roof-boxes, bike-racks and caravans. Book at least 1 month before the grand prix. Check in starts 2 hours 30 minutes before departure. On the day of travel, bring the credit card used to make the booking, and your passport.